Picking out new furniture for your living room is difficult. Picking out new furniture when you don’t have a lot of space to work with is even more so. For smaller living rooms, you want a nice-looking couch that doesn’t get in the way of your other furniture or is just too big to function. 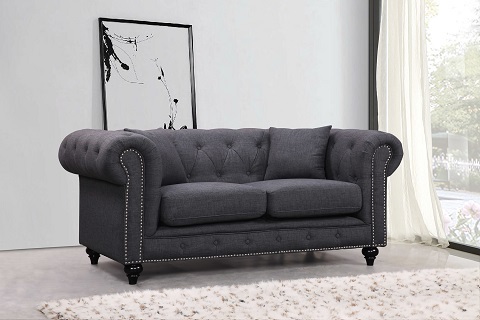 If your living room doesn’t have the space for a full-size couch, you might want to opt for a more compact loveseat, and right now gray loveseats are trending in a big way. 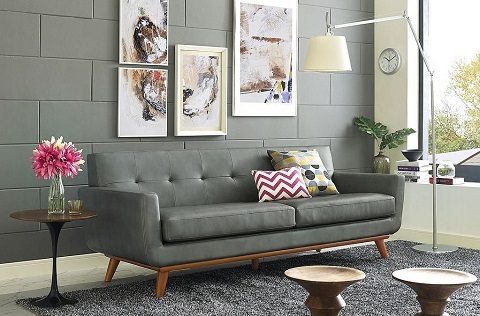 Gray loveseats are space-saving, stylish, and pair well with most living room situations – even if you’re a little short on space. So why choose a loveseat? For many, it comes down to the space available. Apartment living in particular tends to err on the small side, and while a large sofa taking up your entire living room sounds incredibly comfy, it doesn’t leave much room. You need to be able to place other important furnishings – like a coffee table or lamps – into your setup for a truly functional room. The loveseat offers room for up to two people while still looking stylish and like a complete couch without taking up all the space of one. Gray is a popular neutral color right now and feels very modern compared to beige and brown, which have been the standard colors for couches for decades. With all kinds of shades available, you can choose one based on how light or dark you want the rest of your living room to look. While you may not want one just because it’s trending, there’s an advantage to being able to pick out a new couch while going with the flow. You can find many more gray loveseats available than other colors right now, which means you’re more likely to find the style you want still being made and restocked. Another benefit is that gray pairs well with any accent color without looking excessive. Sure, you could stick to entirely neutral colors for your living room, but it’s also safe to spice it up when decorating around gray. Stick some red throw pillows on top of your loveseat, add a turquoise lamp, or put it together with other kinds of furniture accents you already have in your home. Unlike some vibrant couch shades, gray doesn’t dictate how the rest of your room is color-coded in order to match. Your loveseat color also dictates how clean your living room looks. Gray hides pet hair and stains better than black, white, or vibrant colors do. With time, nothing ever maintains the freshly-washed look, but gray will take those rough spots and make them part of its character rather than blemishes on its surface. When picking out living room furniture, you should also think about what it’s going to look like in five years with frequent use. You want a color that “ages” well and faded gray is still a shade of gray and not some other color, like your red couch fading to pink. 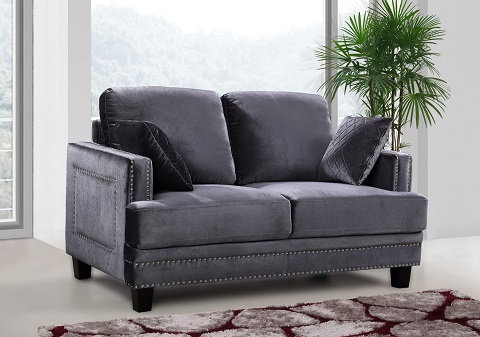 Due to its current popularity, finding a gray loveseat that you love is easier than ever. I’ll admit that your sitting situation may be more intimate than you intend when putting multiple people on a loveseat. Small couches just aren’t for everybody. 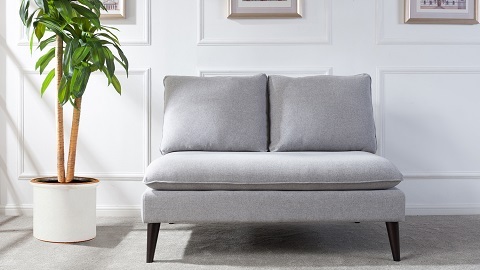 But if you are sofa shopping without a lot of space to work with, a loveseat is a good way to have a nice couch without making your living room the couch room and nothing else. This entry was posted in Decorating Ideas and Tips, Furnishing Ideas, Latest Trends and tagged gray loveseat, living room, loveseat, sofas.